Dame Kumar is Professor of Medicine and Education, Barts & the London School of Medicine & Dentistry, Queen Mary University of London. Honorary Consultant Physician and Gastroenterologist, Barts & The London NHS Trust and Homerton University Hospital Foundation Trust. Professor Kumar’s research interests have been in disorders of the small bowel, particularly coeliac disease. She was a Non-Executive Director of the National Institute of Clinical Excellence, and Chairman of the Medicines Commission UK. She has been Vice President for the Royal College of Physicians, President of the British Medical Association and President of the Royal Society of Medicine. She was also the Director of CPD, Associate Director for International Education for the RCP. 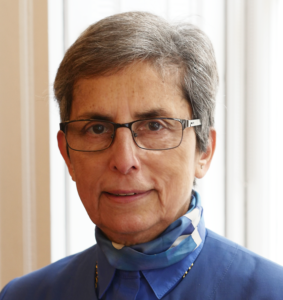 She is currently a trustee of the British Society of Gastroenterology, President of the Royal Medical Benevolent Fund and President- Elect for the Medical Women’s Federation. She is on the International Advisory Board for SACORE (Southern African Consortium for Research Excellence). She was a trustee of Tropical Health and Education Trust (THET), Chairman of the BMJ eLearning board and also of the BUPA Foundation charity for research. Professor Kumar co-edits ‘Kumar and Clark’s Clinical Medicine’, a textbook for students and doctors, which is used worldwide, as well as other books. She was awarded CBE for services to medicine in 2001.